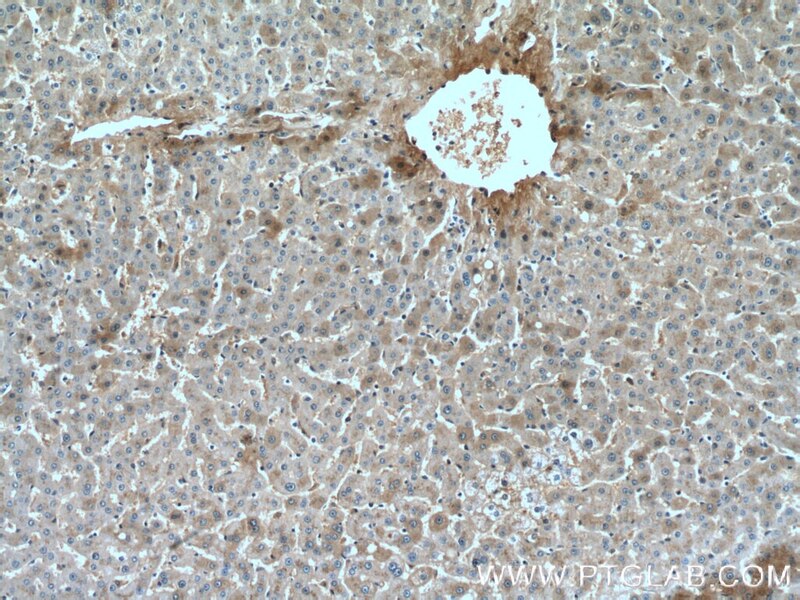 Immunohistochemical analysis of paraffin-embedded human liver tissue slide using 66479-1-Ig( Hemopexin antibody) at dilution of 1:500 (under 10x lens). 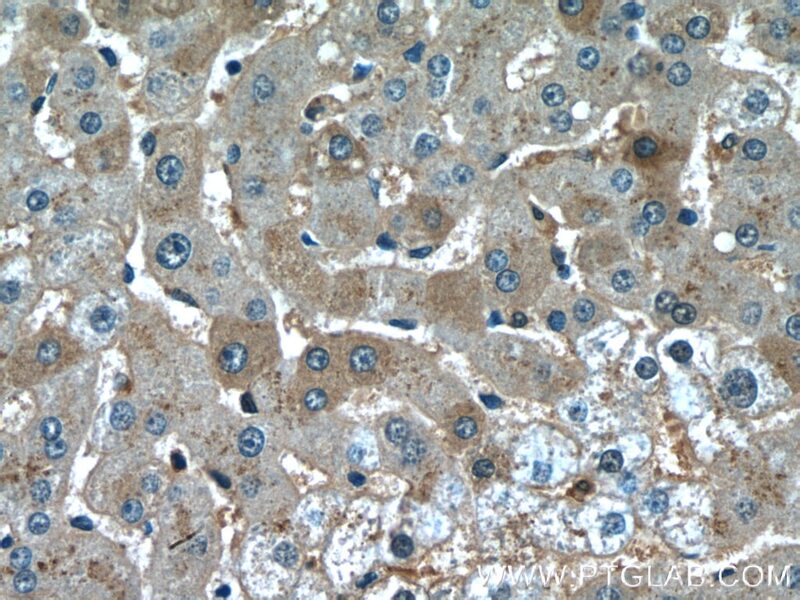 Immunohistochemical analysis of paraffin-embedded human liver tissue slide using 66479-1-Ig( Hemopexin antibody) at dilution of 1:500 (under 40x lens). Hemopexin (HPX) is the plasma protein responsible for scavenging heme, thus preventing heme-mediated oxidative stress and heme-bound iron loss. In addition, hemopexin blocks heme activation of immune receptors and vascular inflammatory processes. It is mainly expressed in liver, the synthesis of which is induced after inflammation. Alterations of plasma hemopexin level have been linked to disorders like atherosclerosis and inflammatory diseases. 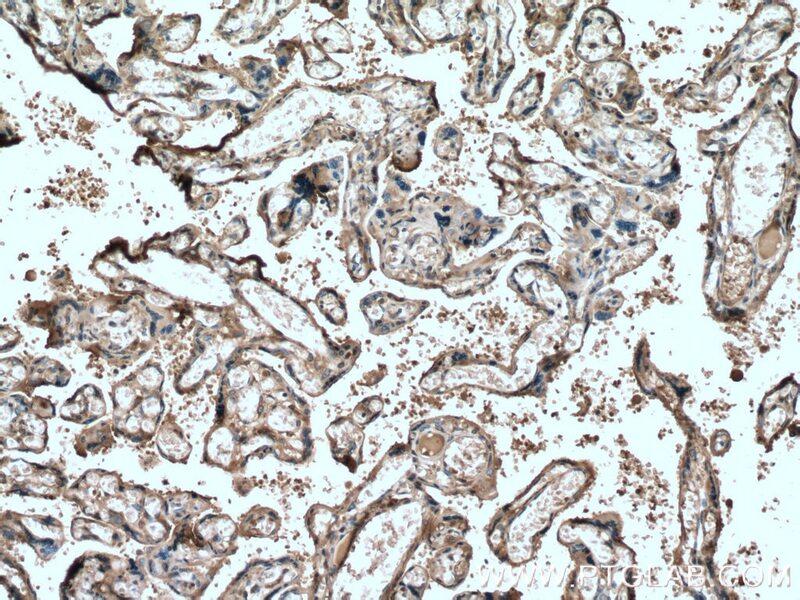 Immunohistochemical analysis of paraffin-embedded human placenta tissue slide using 66479-1-Ig( Hemopexin antibody) at dilution of 1:500 (under 10x lens) heat mediated antigen retrieved with Tris-EDTA buffer(pH9).